Moody’s Credit Agency has downgraded town's credit rating after it borrows millions to support the construction of Foxconn's $10 billion factory. 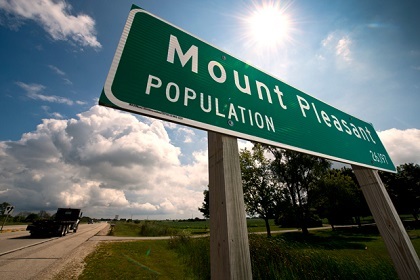 MOUNT PLEASANT, WI - The Daily Reporter reported that Moody’s Credit Agency has downgraded this small Wisconsin town's credit rating. The reasoning? Foxconn. Mount Pleasant's millions in borrowing to support the construction of Foxconn Technology Group's $10 billion factory there have led to a one-notch downgrade in the village's credit rating over fears that the massive factory may not produce the economic benefits officials had promised. And here is Moody’s analysis. The downgrade to Aa3 largely reflects current and anticipated growth in the village's direct debt burden and likely growth in its overlapping debt burden tied to borrowing in support of the Foxconn development. The rating also incorporates additional risks associated with the project including the uncertainty of enforceability of guarantee provisions in the event of a breach of development obligations. The experts agree: the Foxconn deal is on shaky ground and that is bad news for taxpayers.